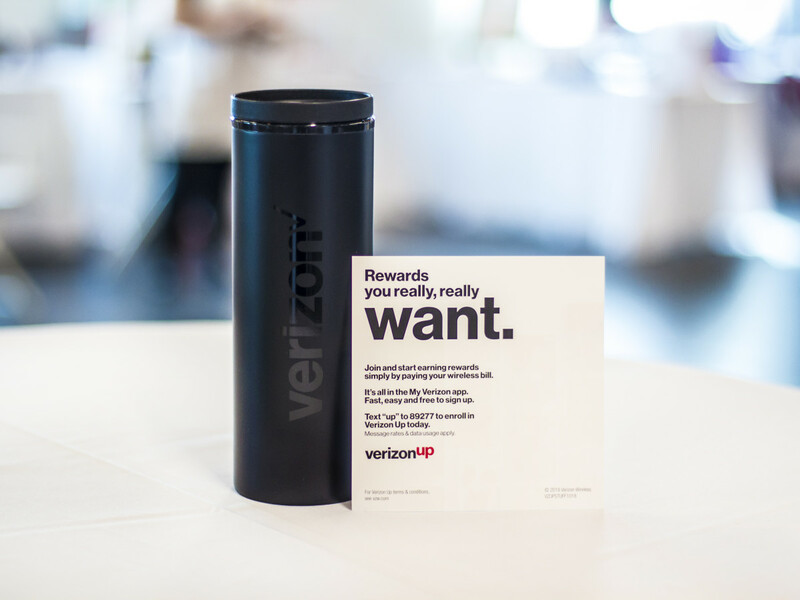 Verizon's insulated tumbler was sleek and chic. 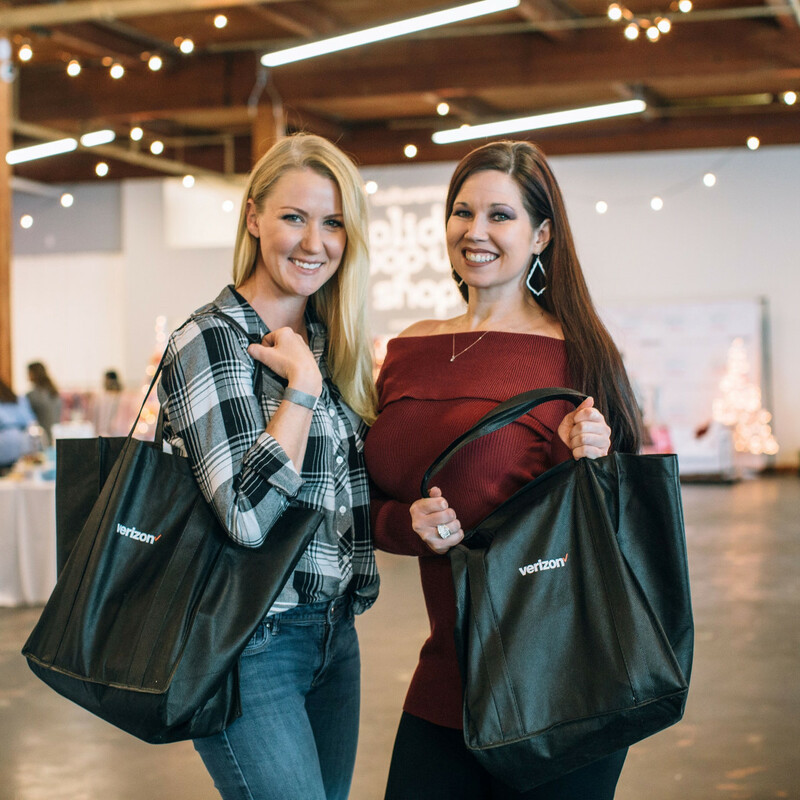 Dallasites looking for a festive time recently swung by CultureMap's 2018 Holiday Pop-Up Shop, ready to shop 'til they dropped and prep for all their upcoming present needs. 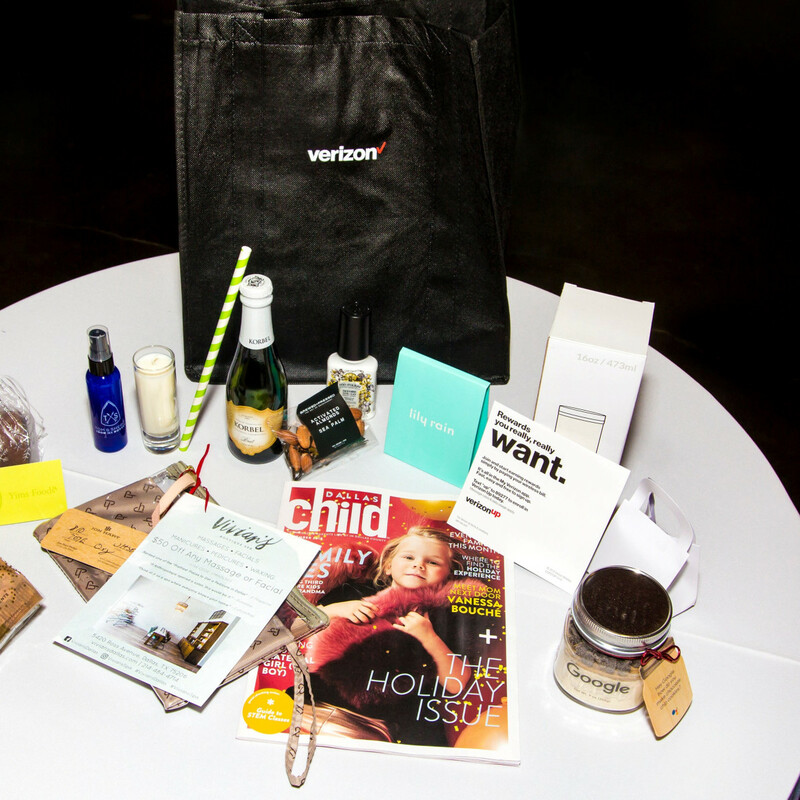 But 100 Verizon Up members got to enjoy a bonus simply for being part of the carrier's rewards program: early entry and a VIP bag packed with sweet swag from the pop-up shop's vendors. 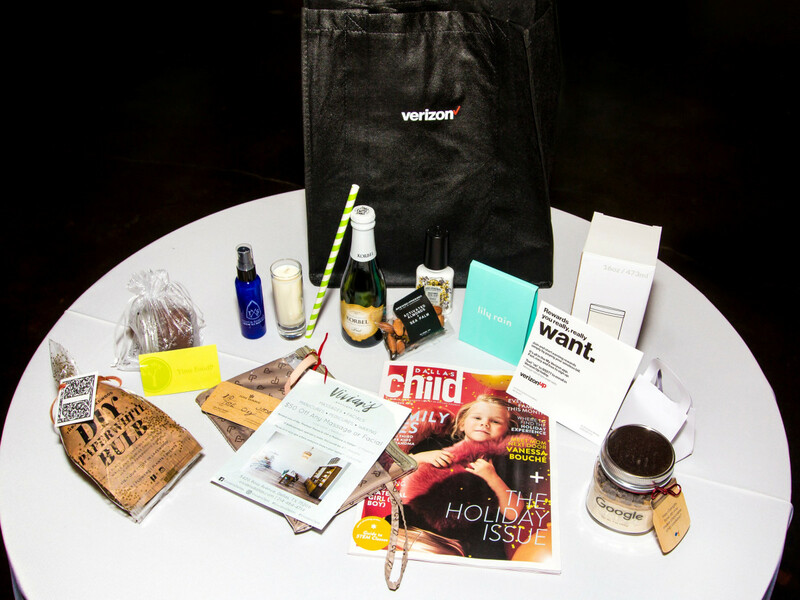 Competition was fierce among those vying for these desirable bags, which contained everything from jewelry to cookies to gift cards. 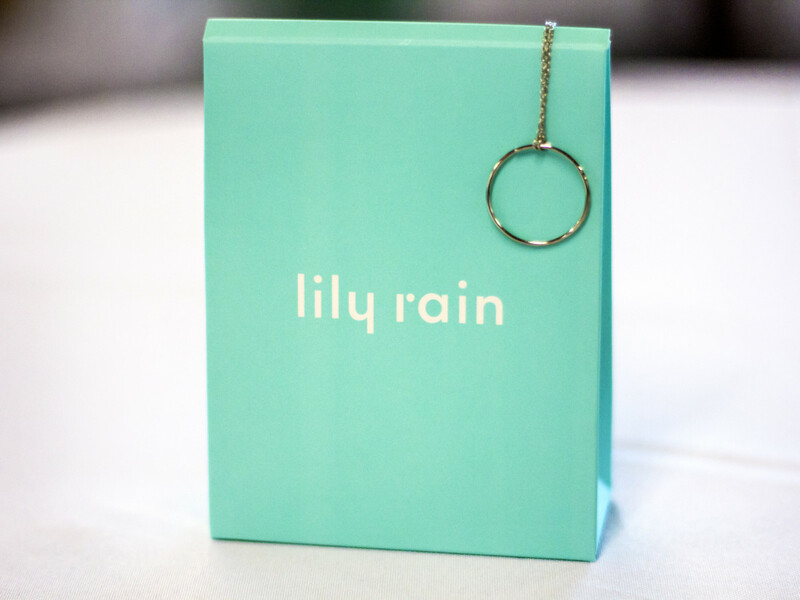 About half the recipients received shiny baubles from Lo Lo Jewels while the other half discovered jewelry from Valerie Morgan Designs. 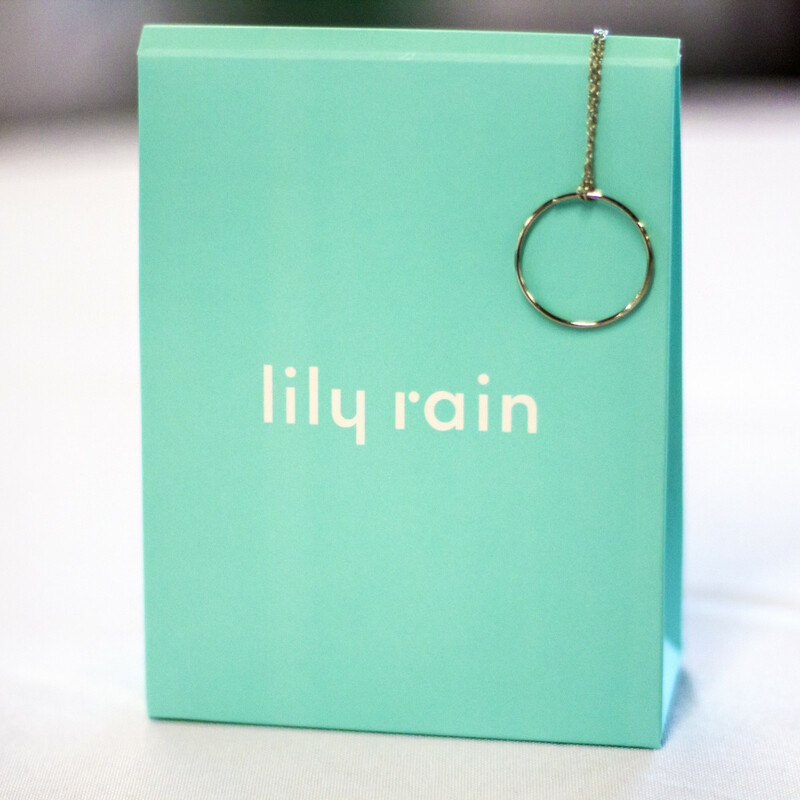 A package from Lily Rain turned into a fun surprise, with each Verizon Up member unveiling a different piece of trendy jewelry. 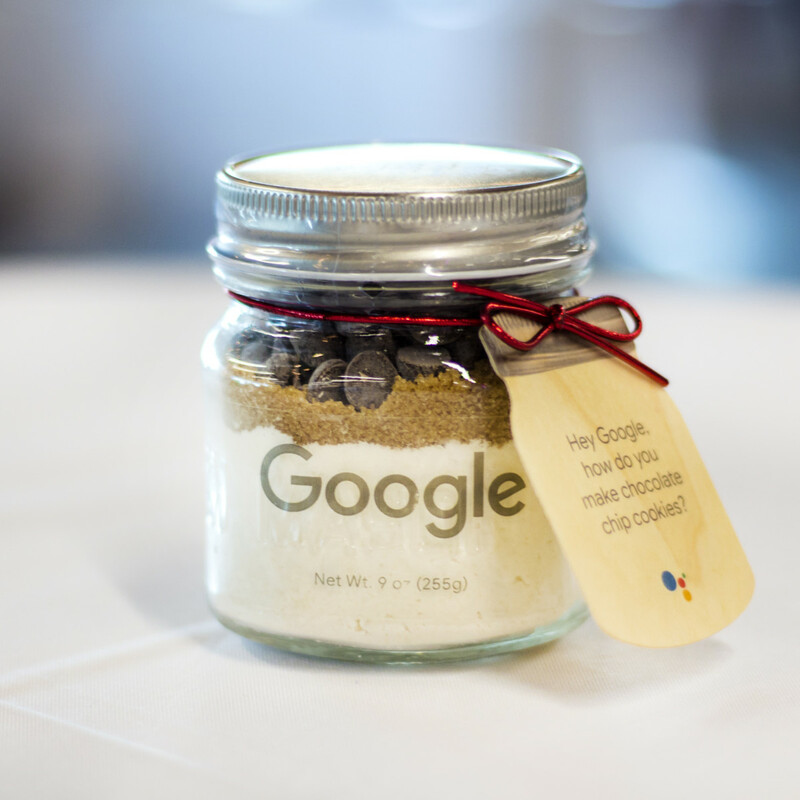 Helpful home items were also well received, such as a festively fragrant 2 oz. candle from Talulah & Hess, a bottle of Poo-Pourri in its original citrus scent, sleek and insulated tumblers from Verizon, and a sample bottle of Tom & Sheri's Iron in a Bottle, which promises to quickly release wrinkles on clothing without any harsh chemicals. 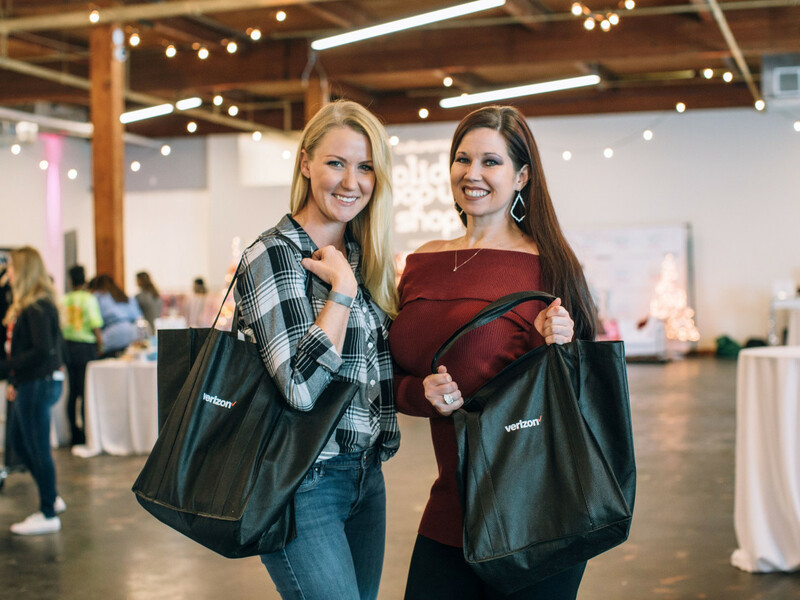 Of course, there was a bellini and mimosa station from Korbel pouring at the pop-up shop, but the Champagne brand slipped a mini bottle of bubbly into the VIP totes for later, along with a striped paper straw for eco-conscious sipping. Also to be enjoyed later was a jar of apple butter from Yims Foods, which won a ribbon at this year's State Fair of Texas, and activated almonds plus sea palm from Brewed + Pressed, a mineral-rich, alkalizing beauty food. 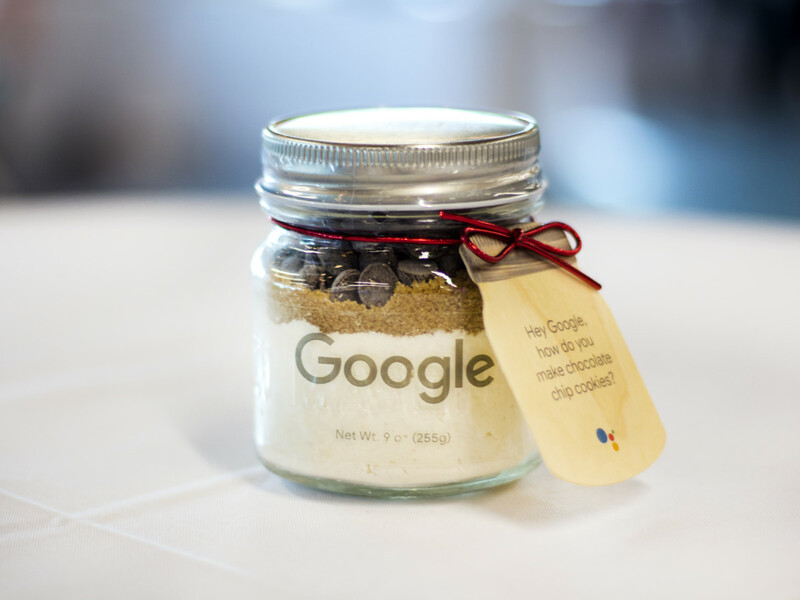 Those seeking a project were all set thanks to Google and The T Shop, the former of which provided a Mason jar brimming with cookie-making ingredients and the latter a paperwhite bulb, which only needs water and rocks, not soil, to grow and thrive. Especially coveted were the 100 Jon Hart tote organizers donated by KidBiz and The Jon Hart Shop @ TheBiz, which provided free onsite monogramming. Also onsite was Vivian's Boutique Spa, kneading out holiday stress with free chair massages, but those with the Verizon Up bags were delighted to find $50 gift cards to Vivian's for a massage or facial. So for those who weren't Verizon Up members and were left waiting in line until general admission started, what else were they missing out on? 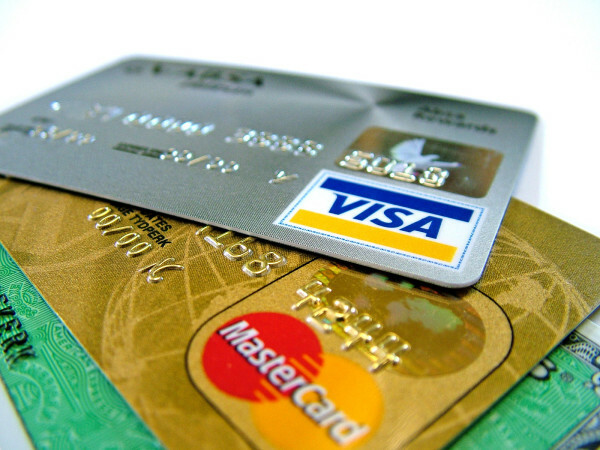 The best rewards for being on the best network. Verizon Up members have access to perks like bonus data, gift cards, and Device Dollars, all for simply paying their wireless bills. 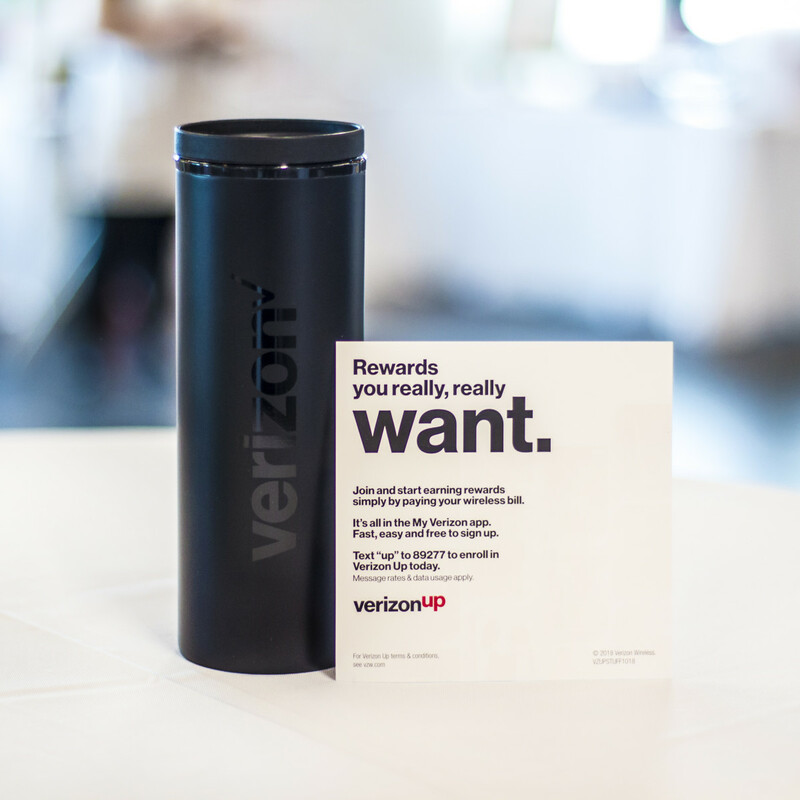 If you're a Verizon customer, make sure you are getting your rewards. 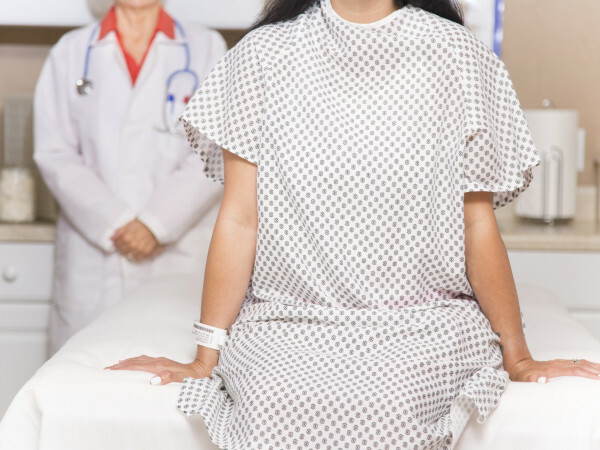 If not, you can easily make the switch today.